The past few years have really challenged Leo and Elizabeth, throwing them curveballs they never expected. About 6 years ago, Shirley, Elizabeth’s mother, suffered a stroke. After that, during the recession, Leo lost his job where he had worked for many years. 2 years ago, Shirley stopped working because her health was too poor. During that time, Shirley’s illness progressed so much that a she now required as much care as Elizabeth. Leo took it all in stride and did what he always did: took care of his family with a smile. This past year was devastating for the Bilodeau family. Shirley, Elizabeth’s mom, passed away, and Leo suffered a heart attack and had open heart surgery. Elizabeth, as she has always done, continued to fight for each day of her life. At birth she was told she had 6 months to live. That she would act “like a rag doll” and “never smile.” But doctors should have learned something about the Bilodeau family during their time with them. They do not surrender to life’s obstacles, they do not forfeit the fight for a better tomorrow. And they do not observe limitations placed on them. “She does a lot of smiling,” Leo announces with a hint of pride in his voice. There is something within Elizabeth, an invincible sense of herself that does not bow to what others believe her life should be. 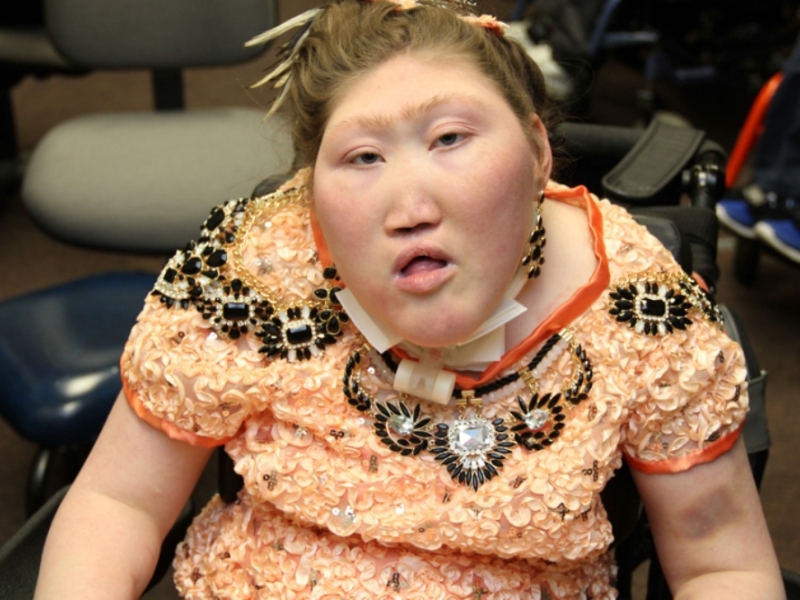 After a diagnosis of Holoprosencephaly, which is the failure of the forebrain to develop normally, Septo-optic dysplasia which is a disorder of early brain development, and complex partial monosomy of chromosomes 12q and 18p… Elizabeth’s parents never saw her diseases, they saw only their child. 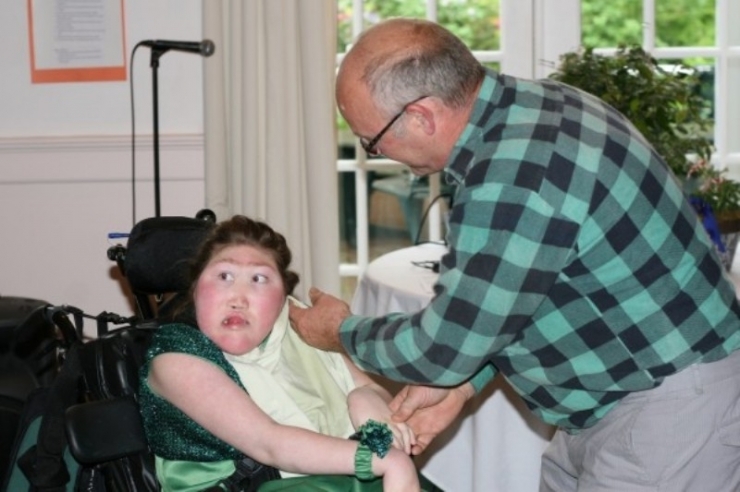 And in that supportive environment, Elizabeth has become the person she was destined to be. However, there is a very important element of this story that we haven’t revealed yet. 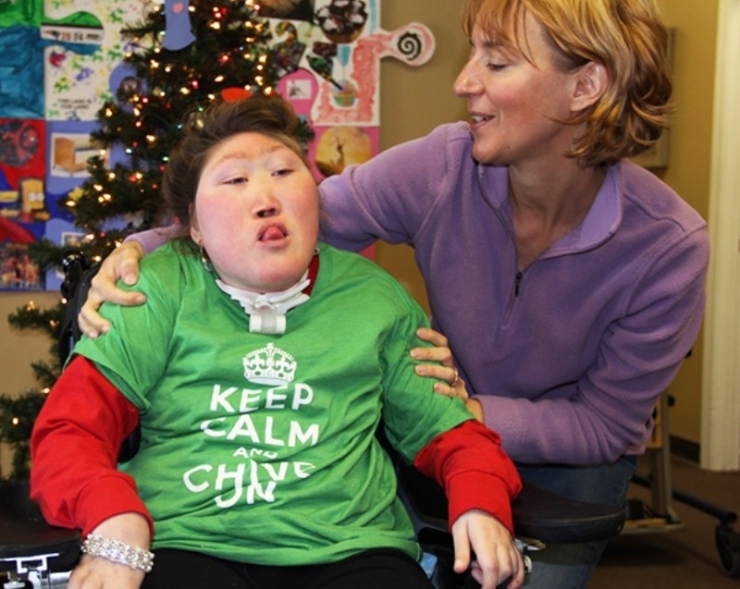 It is, in fact, what makes this story a Chive Charities story, and not just a tale of one family’s tenacity and strength. There is a saying, and at the holidays it’s easy to believe, that there are angels among us. One such angel works at the Monarch School of New England, where Elizabeth attends school every day. Her name is Kathy Moses. And one day when Kathy was waiting outside with Elizabeth for Leo to come and get her, Kathy realized what terrible state Elizabeth’s transportation was in. For the family that has been through everything, and held on to their faith and each other without uttering one complaint, Kathy knew they deserved more. 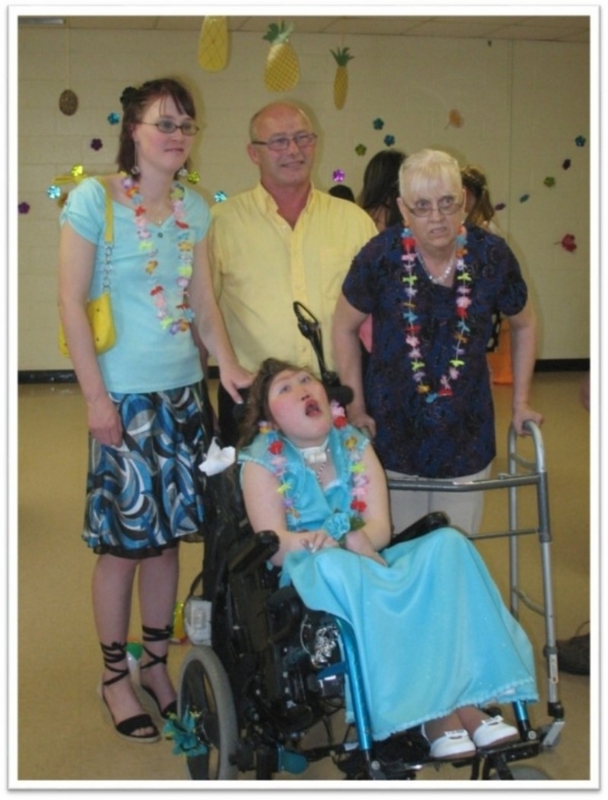 And because the Bilodeau family is too humble and proud to ask for help, she resolved to do it for them. 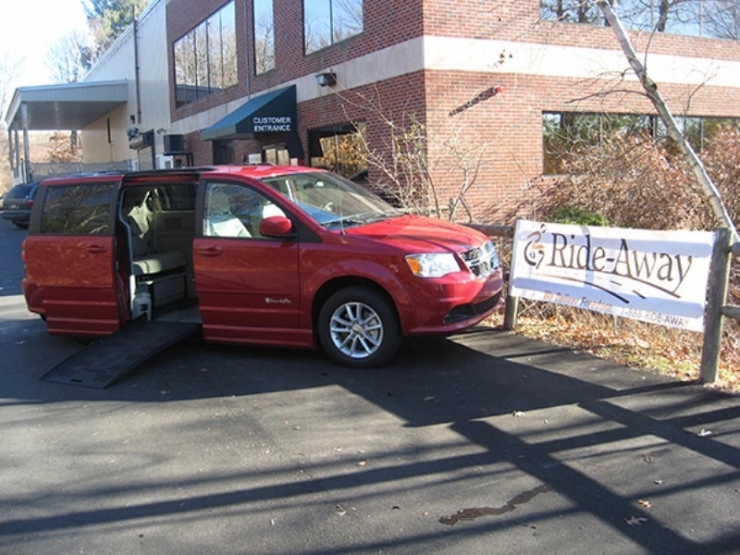 Kathy applied for a grant to Chive Charities for a wheelchair-accessible van on behalf of Elizabeth Bilodeau. And just before Christmas, she found out that Elizabeth was going to receive the miracle she and her family desperately needed. 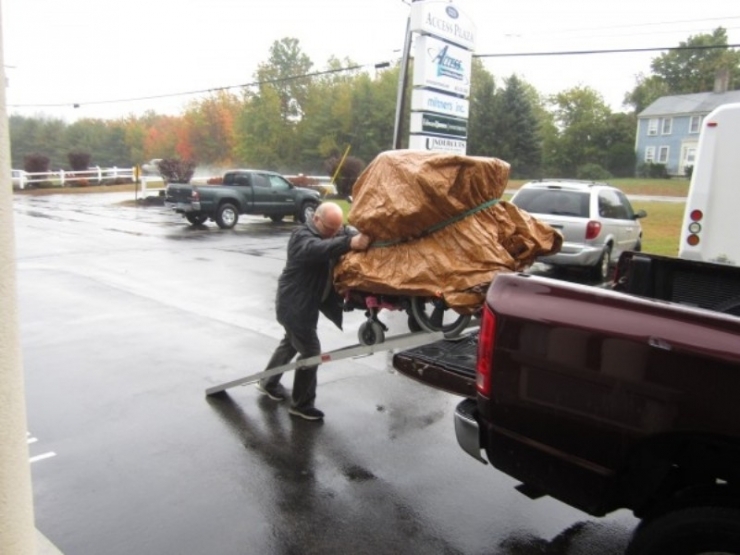 To protect the wheelchair, he covers it with tarp so it withstands rain or shine, winter or summer. 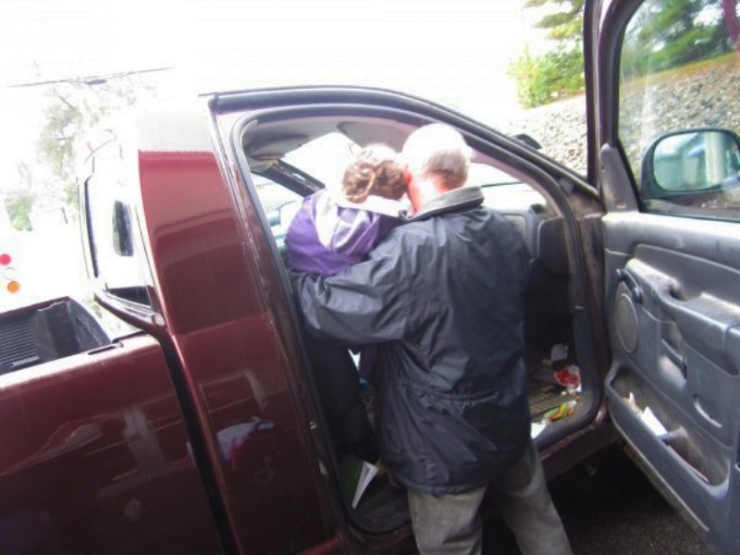 Although he has never once complained, his process of dropping off Elizabeth at school could be much faster, much safer, and much less demanding on his back with a van customized to fit Elizabeth’s needs. And soon, it will be. This father and daughter bond is something very special. Every morning, Leo styles Elizabeth’s hair in intricate braids and cool hairstyles. And every year, he acts as a seamstress and makes Elizabeth’s prom dresses from scratch. They are beaded and beautifully elaborate, each one more stunning than the year before. 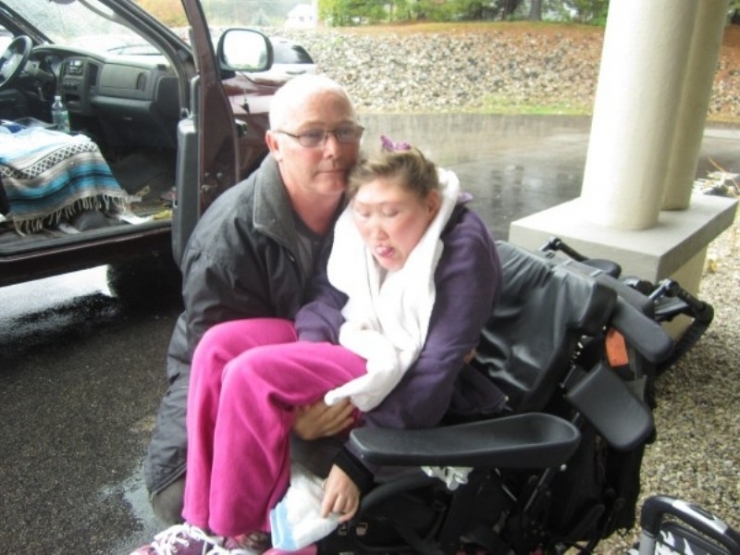 Part of Elizabeth’s daily routine is her Physical Therapy, which she absolutely loves. “She saves her biggest smiles for PT,” Kathy tells us. Here is the Bilodeau family all together: older sister Devon, left, father Leo, late mother Shirley, and Elizabeth. Because Elizabeth’s nurse, Kathy, pictured here, decided to apply for a Chive Charities grant on behalf of the Bilodeau family, Elizabeth is now the recipient of a $49,000 grant that will purchase a wheelchair-accessible 2015 Dodge Caravan SXT that will set in motion a string of positive changes that will help the Bilodeau family get back on their feet. This holiday season, Leo and Elizabeth just received more help than they could have ever dreamed… because their story inspired one random act of kindness that changed their lives. 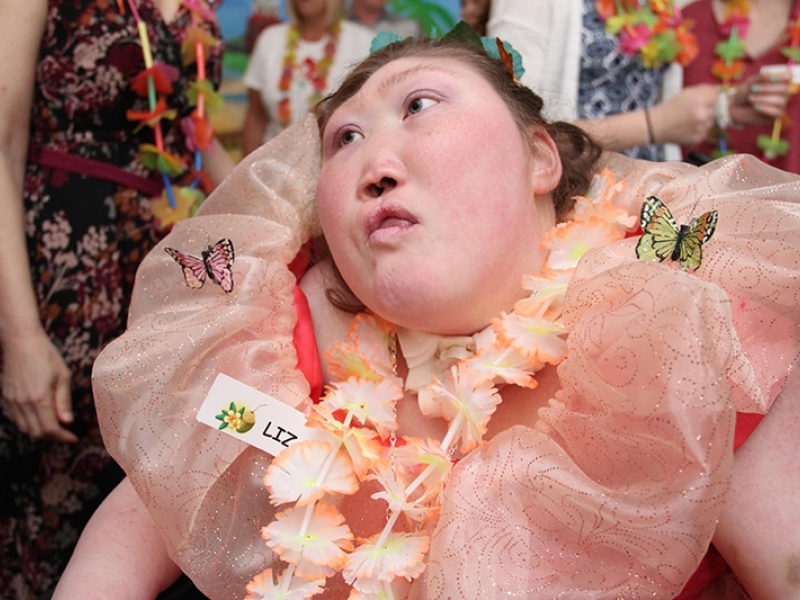 Elizabeth, who was not supposed to live past 6 months old, has been brightening the lives of those close to her for over 20 years. Her path has rarely been easy, but that doesn’t mean she hasn’t found joy and reason to smile every day. Because of her light and her spirit, Elizabeth has unknowingly inspired others to become their best selves. 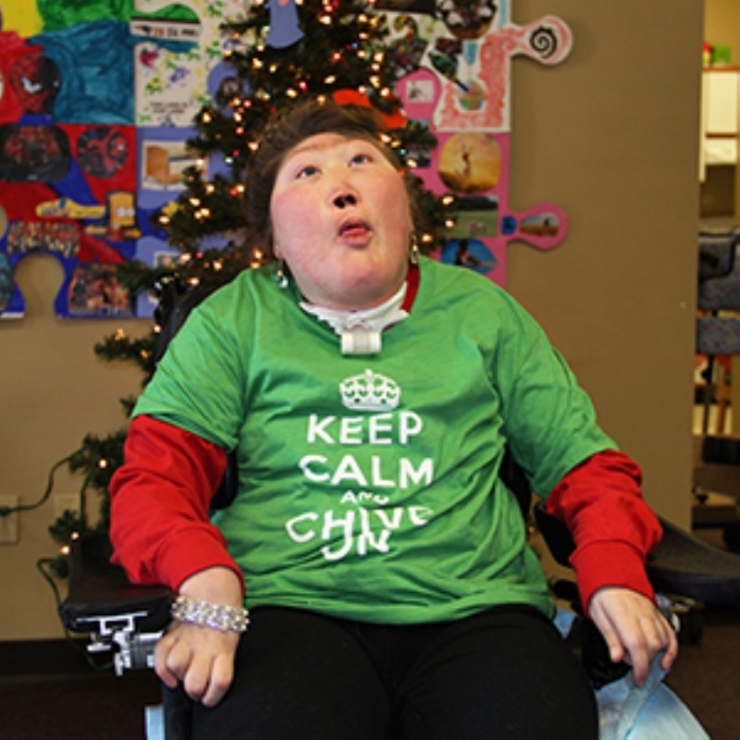 To our Chive Charities members: you are the miracle-makers and the reason Kathy's dream for Elizabeth came true. It is because of you we are able to change lives for the better, and leave this world 10% happier than we found it. We are eternally grateful to you, but because it's the holidays (and in case we don't say it enough) thank you. Thank you, thank you, thank you. What a year it's been. If you want to join our fight in 2016 and become a Chive Charities member, you can do so HERE.